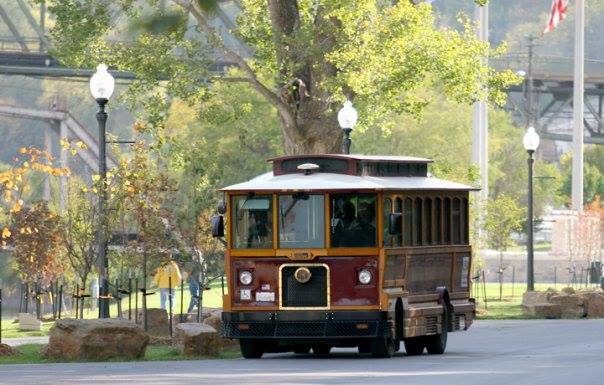 The best way to see Atchison and learn about its rich history is aboard the Atchison Trolley, which provides narrated tours during summer months. You’ll discover Victorian mansions, historic sites and impressive views of the Missouri River. $6 adults, $2 children ages 4-10. 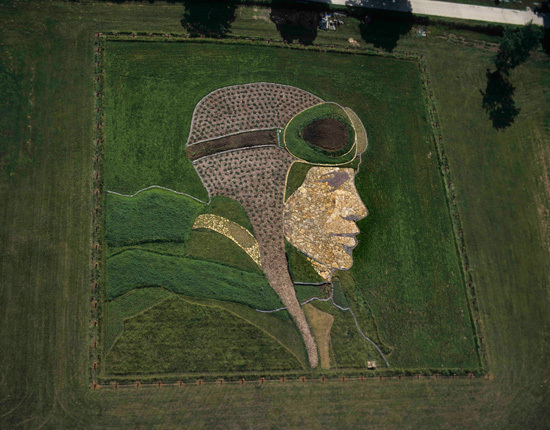 This one-acre portrait was created by famed Kansas artist Stan Herd in 1997. It lies on a hillside overlooking Warnock Lake and is composed of permanent plantings, stone and other natural materials. A viewing deck on a nearby hilltop provides the best ground views of the earthwork. 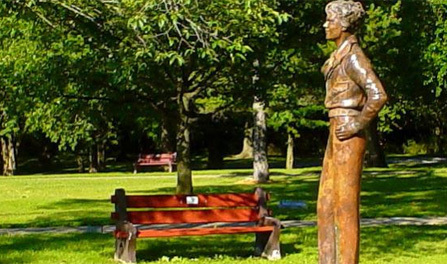 A life-size bronze statue of Amelia Earhart gazes over the International Forest of Friendship, which is a living, growing memorial to those who have been involved in aviation and space exploration. The forest was established as a bicentennial project by the City of Atchison and The Ninety-Nines Inc., an international organization of women pilots. Each June, new honorees are inducted into the forest with plaques embedded in the walkway that winds through trees representing all 50 states and over 35 countries in which forest honorees reside. Several special trees include the “Moon Tree,” which was grown from a seed taken to the moon aboard Apollo 14. It is encircled by the Astronaut’s Memorial, which honors ten astronauts who lost their lives in space exploration. Benedictine monks established St. Benedict’s Abbey in the late 1850s. About 40 monks reside at the abbey, which was completed in 1929. 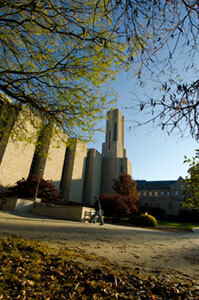 The church was designed by a student of Frank Lloyd Wright and was completed in 1957. It features a 44-foot-high nave ceiling, unique frescoes, and facing choir stalls where monks gather three times a day for common prayer. Self-guided tours. 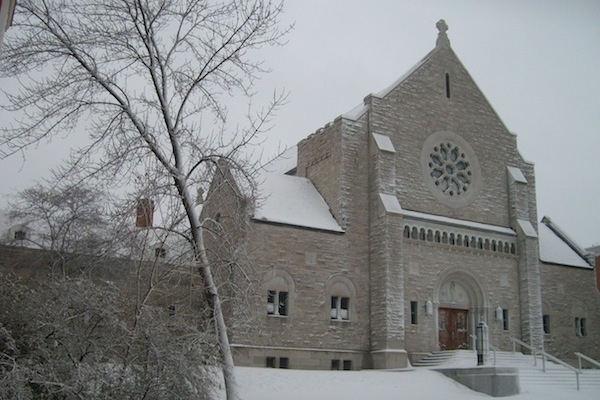 The Benedictine Sisters of Mount St. Scholastica have been in Atchison since 1863. St. Scholastica Chapel is rich with beautiful marble, a large rose window and stained-glass windows honoring seven martyred women saints. A vaulted ceiling graces the interior of the choir chapel, which has facing choir stalls and stained-glass windows retelling the life of St. Benedict. Guided tours of the chapels and a religious history room by advanced appointment. 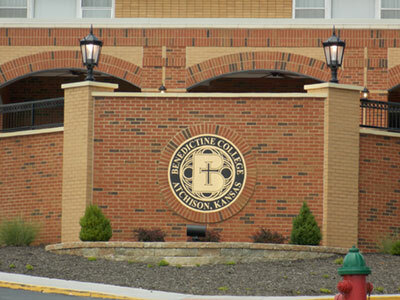 Benedictine is a four-year, Catholic, co-educational and residential liberal arts college on 100 acres overlooking the Missouri River. Elizabeth Hall, formerly Freshman Hall, built in 1892 and the school’s first residential building, is a notable landmark. The Lewis & Clark Pavilion in Riverfront Park was constructed in preparation for the Lewis and Clark bicentennial commemoration on July 3-4, 2004. 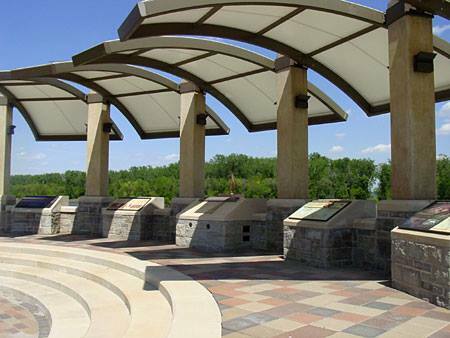 The pavilion, built by the Kansas Lewis & Clark Bicentennial Commission, has interpretive panels with information on the Lewis & Clark expedition, the Missouri River and the Kanza Nation. 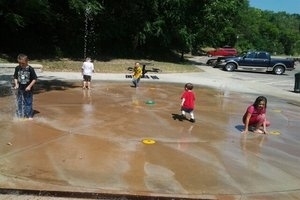 Riverfront Park was dedicated on June 19, 2004, after many years of planning. It features the Lewis & Clark Pavilion, Veterans’ Memorial Plaza, a hiking/biking path along the river, enhanced boat access with a river overlook area, children’s play area with a keelboat replica play structure, and new bathrooms. 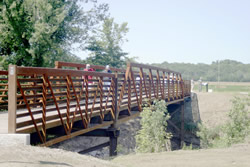 This ten-mile hiking/biking trail connects downtown Atchison with Independence Creek and the historic area where the Lewis and Clark expedition camped on July 4, 1804. The trail head includes a recreated Kanza Indian lodge that is free to view. The Kanza lodge, trail and Lewis & Clark attractions on the Atchison Riverfront were named one of the 8 Wonders of Kansas History in 2010. Come enjoy a free tasting of Riverwood Winery’s full line of red, white and fruit wines ranging from sweet to dry. Riverwood produces wines from the owners’ Platte County vineyards, and from grapes and fruit purchased from other local growers. 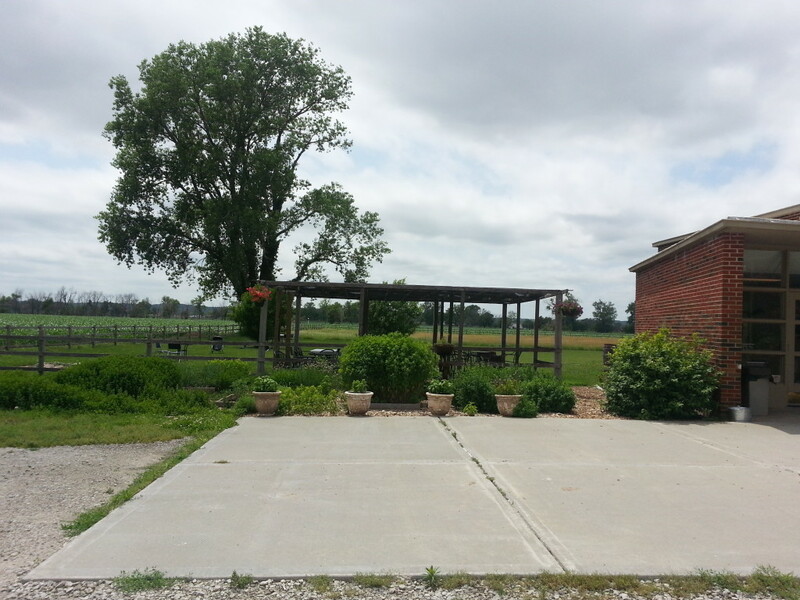 Riverwood Winery periodically hosts food classes and demonstrations, and the wine hall is available for private gatherings such as receptions or parties.